Many people are beginning to understand the part that nutrition plays in their fitness levels. The body requires a broad range of nutrients for it to carry out processes efficiently. Research shows that as people exercise, they lose micronutrients from their body and as such, they need to get replaced often. Thankfully, sports have evolved to a point where you have adequate information on the number of micronutrients that you should consume and their benefits to the body as well as the timings of your intakes. As you engage in a sport, you require hydrating on a frequent basis as you consume foods rich in nutrients which help you recover from the strain. Most micronutrients play active roles in metabolism which can be five times as high when compared to its rate during rest periods. It is necessary that you replace the lost nutrients which can get accomplished by paying attention to what you eat and when. A lot of muscle contractions take place as you exercise and this requires a lot of energy provided by the micronutrients in your body. For the body to endure physical activities, it involves water, micronutrients, and macronutrients. Water and electrolytes work in the prevention of dehydration as they replace the salts lost during sweating. Macronutrients provide the energy required for the conducting of the exercises and they also work in the maintenance of body weight. Micronutrients come in to produce ‘energy’, protect you from diseases, build muscle strength and repair body mass. These include micronutrients such as Vitamin C and Vitamin E which work towards preventing cells from getting damaged during exercise. The high level of oxidation required during physical activity can cause damage to free radicals, and it is the role of such nutrients to strengthen the defense system. 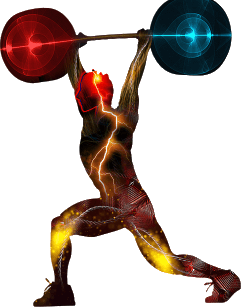 They also prevent damage to plasma during high impact activities, and they reduce the level of muscle soreness. They help the body in the production of energy as well as the making of amino acids. Most exercises take up twice the recommended amount of B vitamins and as an athlete; you will require taking twice as much what the general populace consumes. For athletes who take part in sports that have a limiting effect on the body weight such as ballet, they require eating a lot of foods rich in these micronutrients to avoid deficiencies. This vitamin works in the synthesis of proteins, and it enhances physical performance in athletes. It also improves the working of muscles. Indoor athletes are more likely to suffer from deficiencies of this nutrient, and they should take the necessary supplements to ensure proper functioning of the muscles. This antioxidant gets made in the body, and research shows that exercise limits the amounts available for use in the system. Taking supplements of this nutrient aids in better recovery, more endurance, and increased performance rates. Athletes also get more energy to undertake physical activities when taking this nutrient in supplement forms. These two form a protective layer in the eye which enhances the vision of athletes and makes them better at their sports. You can get these nutrients in the diet but small quantities. For athletes, taking supplements of these nutrients will help them perform better thanks to the increased visuals. These nutrients play critical roles in the development of body parts such as the eyes and the brain. They also improve the functioning of lungs and our immune systems. For athletes, they get to have a reduced heart rate as well as better oxygen consumption if they eat enough foods containing these nutrients. These help in the prevention of bone deterioration, anemia, and muscle cramps. An athlete on such a diet should consume three servings of dairy foods that are low in fat, boned fish, soy products that are rich in calcium and leafy vegetables. The best foods for an athlete are foods rich in heme iron at least four times per week, iron-fortified products such as cereals, foods that lack heme iron such as legumes and vegetables rich in Vitamin C. They should avoid tea during meal times. As an athlete, taking the recommended intake of such nutrients as per your doctor’s instructions will help you build up endurance and maintain high energy levels.